I landed in Hong Kong with not much time to research or plan out a proper itinerary. 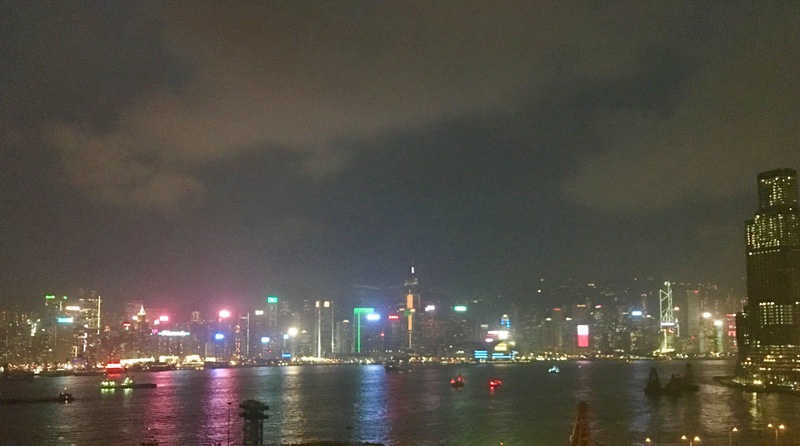 This was the fourth trip to Hong Kong for the husband who was too busy preparing for a conference he was attending in Kowloon to give any input. So other than introducing me the theme song of 1970s cartoon “Hong Kong Phooey” and giving me a a low down on the ‘kung fu’ canine crime busting character there was little else to go on. 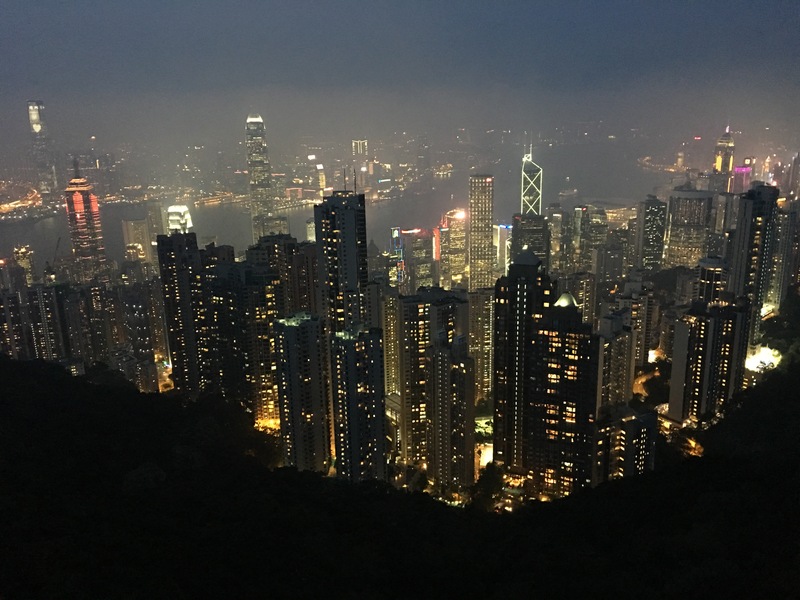 So armed with some paltry food and shopping tips from cabin crews my cousin Catherine and friend Sel and some miserable research, I came up with a haphazard itinerary for five days in Hong Kong. Of course, the bustling harbour of Hong Kong, it’s surrounding islands, skyscrapers, ferries, boats and vessels along the bay are what defines Hong Kong and it’s skyline today. But how did that come about? Why did Hong Kong’s development move upwards? Where do the 7 million population fit in? What are their origins? How did they end up in Hong Kong? What was life like before the first trade vessel arrived on the shores of this island? For those who bother to ask these these question but have had little time for research on Hong Kong before your trip the Hong Kong Heritage Discovery Centre is an excellent place to start. It is definitely not on the to do list of most visitors to Hong Kong judging by the numbers at the centre. But that’s a pity because, the centre has some interesting exhibits and information on the ‘Fragrant Harbour’ also which shares the title ‘Pearl of the Orient’ with several other cities in Asia. For starters it gives you a low down on the early settlers in Hong Kong, including what they looked like, their customs, practices and survival tools. These are based on skeletons and items excavated from 20 prehistoric burial grounds around Hong Kong. What an early male Hong Kong settler looked like – based on facial reconstruction of human remains excavated from prehistoric burial sites in Hong Kong. Based on the excavated skeletons, the height of the average male was 163cm while the average age was 36. Their diet consisted of hard and tough food- based on the level of abrasion on the teeth of the skeletons. Jade ornaments and jewelry found in the burial plots indicated the customary paractices of these settlers. Also featured are the cultural and social practices through the different Chinese dynasties that ruled over the area. 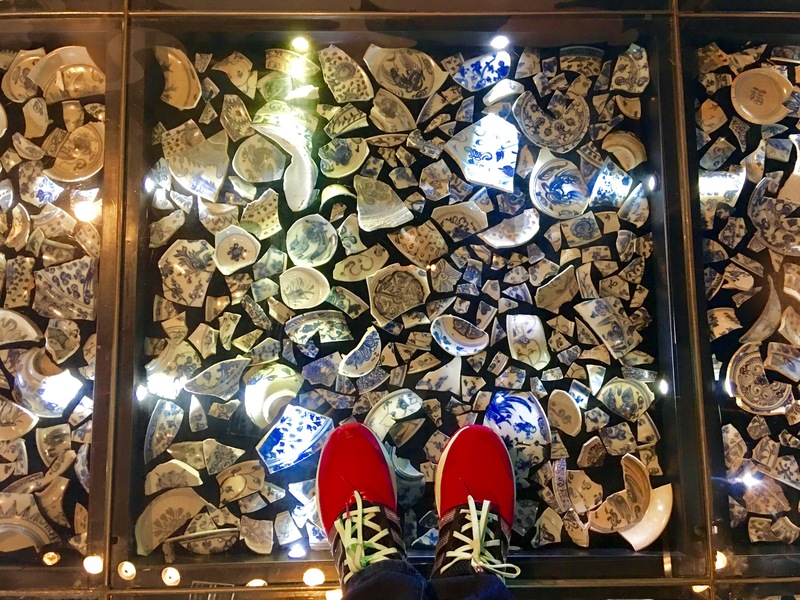 The most impressive one for me was a roomful of Ming Dynasty pottery shards interred under glass flooring that you could walk over. The 7,000 pieces of blue and white pottery were excavated from Penny’s Bay in Lantau Islan prior to the construction of Hong Kong Disneyland at the site. 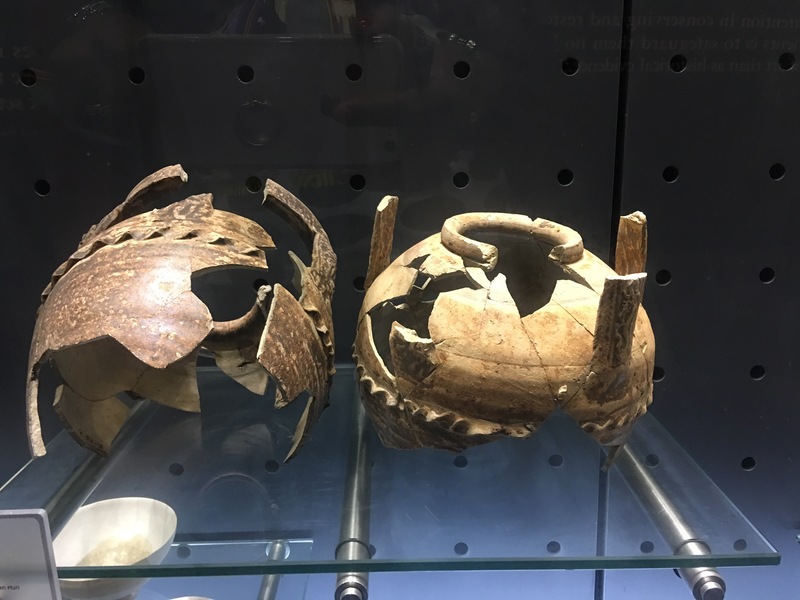 In addition pottery, tools and items from from prehistoric times and during the various Chinese dynasties are on display with detailed explanation on what these were made of, the tools used and its significance. Towards the end of the exhibit area, you will come to booths where documentaries are screened to explain how Hong Kong got to where it is today – including how and why its development is vertical – leading to the skyline it has today, its social practices, its development over the decades and centuries. The documentaries screened including old photographs and footage of Hong Kong, and explanation from experts on how it has grown to be the economic powerhouse it is today. Entry to the Hong Kong Heritage Discovery Centre, which used to house army barracks in Kowloon Park, is free. Located in the Tsim Sha Tsui district, it takes about an hour or two to go through the entire centre – depending on how much you want to immerse yourself in the exhibits and information.